Using a straightforward and transparent scoring system, BREEAM standards address a wide range of environmental and sustainability factors within building and construction. This gives developers the opportunity to prove the environmental credentials of their building designs to planners and clients prior to the their construction with an BRE backed assessment certificate. Metalline is proud to announce that Ultima aluminium insulated panels are helping buildings conform to the highest level of BREEAM ratings standards. We manufacture products that are environmentally conscious whilst also providing superb aesthetical features. 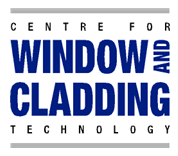 The Centre for Window and Cladding Technology (CWCT) is a publisher of industry standards and guidance on building envelopes. The CWCT ‘standard for systemised building envelopes’ gives a framework for specifying building envelopes incorporating various performance criteria. All these were performed in accordance with the ‘standards for systemised building envelopes’ CWCT 2006.